With the July 1, 2014, FATCA effective date quickly approaching, it is finally front page news. Practitioners who are following FATCA closely have noted that the emphasis has shifted slightly from the onerous and unfair injustice FATCA imposes on Americans abroad and recent immigrants to the United States, to the financial institutions and governments who are scrambling to figure out what to do between now and July 1, especially where foreign countries have begun IGA negotiations with the Treasury but have not yet inked an agreement. Two weeks ago was Americans Abroad week in Washington and we had a good report about the reception the delegates from various organizations have received from staffers on Capitol Hill, but especially about the meeting with National Taxpayer Advocate Nina Olson who sincerely believes in our cause. See Victoria Ferauge’s recent Franco American Flophouse here. That said, the amount of hyperbole and wild speculation regarding the corporate and government sides of FATCA continues to provide us with lively and entertaining reading. As we move closer to July 1st, practitioners are well-advised to distinguish between the abundance of myths and fantasies which are now filling blogs, the comments on LinkedIn, pages and pages on the Isaac Brock Society web site, and dozens of other screeds which pop up every time someone does a Google search on FATCA. FATCA MYTH: FATCA is solely the work of the evil American government which is forcing FATCA down everyone’s throat in order to preserve the position of the U.S. dollar as the preeminent world currency. FATCA FACTS: On the very same day the final FATCA Regulations were published in 2012, the Treasury issued a G-5 Joint Statement with the governments of France, Germany, Italy, Spain and the United Kingdom essentially saying “we are all in this together and we intend to pursue separate bilateral agreements that would address the FATCA requirements for foreign financial institutions (FFIs) resident in each non-US country.” Coincidence? Not a chance! FATCA negotiations and cooperation with friendly trading partners was in the works long before it became law in the United States in March of 2010. As noted below, the creation of a virtual international banking and financial institution data base has been the goal of US trading partners for probably two decades. The reality is, advanced modern bureaucracies want FATCA too. You can complain about US hegemony all you want but do you think the Western trading partners seriously want to see the US dollar fail? What would it be replaced with? The Russian Ruble? The Italian Lira? How about some other currency from one of the failed socialist republics of Europe? If the almighty dollar fails we can be sure the Chinese Yuan Renminbi would gladly take its place. It is now the second most powerful currency on the planet. Communist China would love to see the US fail so that could happen. 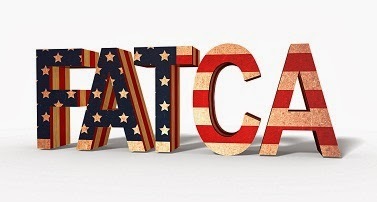 FATCA MYTH: The FATCA concept of reciprocal exchanges of information on foreign nationals is a brand new concept to the shock of the modern industrialized world. FATCA FACT: Our foreign FATCA Friendly partners may be delighted that the US is taking all the heat on this but they want FATCA as much as the US Treasury does. Read the history on FFIs and governments trying to implement the rules for Qualified Intermediaries which have been on the books for two decades. Most foreign financial institutions just blew off the QI rules. These are the very same foreign banks who are faced with billion dollar retrofits to their IT systems to accommodate the new rules. These rules have real teeth which target correspondence banking between banks in a multi-government effort to plug an enormous gap in banking accountability and the long-standing laws in favor of bank secrecy. FATCA MYTH: FATCA is a sinister plan concocted by President Obama to further his socialist agenda. FATCA FACTS: FATCA and all its complexities have its origins long before the current four year/eight year cycle of electing the President of the United States. FATCA is not the product of the current occupant of 1600 Pennsylvania Avenue. We are not talking about top level elected officials who have launched FATCA on us all here, rather, FATCA was under consideration for years by very senior career, difficult-to-remove, civil servants. These are the folks who really make the government work and stay on the job administration after administration. You can be sure that every time a modern industrialized nation changes Prime Ministers or Presidents, one of the first things they receive their first day on the job from their staffs is a big fat briefing book on the status of the bureaucrats' dream of creating a virtual international banking and financial institution data base. High level Treasury staffers and their compadres on the Senate Finance, Joint Committee, and House Ways and Means Committee have been working on this for years. Modern bureaucracies have seen the handwriting on the wall for quite some time. For the most part, the failed Socialist governments of Europe are now broke or going broke. A reliable estimate of the total tax gap of unpaid taxes owed to the Italian government is currently USD $162 billion. The way the Europeans see it, any chance to plug the multiple holes at the bottom of their fiscal bathtubs is something they have been interested in for a very long time. You can be sure that when the G-5 and other larger allied groups get together for their lavish dinners and parties overlooking beautiful Lake Geneva, the cocktail chatter is not about US hegemony but rather delight over the fact that the US has the muscle to pull FATCA off and get away with it. FATCA FACT: The IRS works at two speeds, slow and slower. So they cannot handle what is supposed to be coming their way on July 1. That simply means they will start processing the FATCA mega data next year or the year after, or whenever they can get around to it. Congress and Darrell Issa can pull as many mean spirited tricks as they want on the IRS “but we’re still planning on going home every day at 4:30pm and don’t expect any of our people to pass up any of their hard earned “use or lose” annual leave just so Mr. Issa can brag to the people back in California about how hard he is going after the IRS.” The IRS is at least five to ten years away from fully implementing FATCA but FATCA is NOT going away.